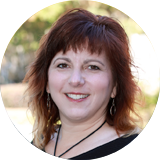 Rachel Wilson is a Certified Occupational Therapy Assistant (COTA) who has been practicing for over 23 years. She specializes in Rehabilitation and has a strong background in Transition and Aging. She has worked with numerous individuals with disabilities to transition back to their home or highest level of independence in the most appropriate environment. Her interests include assistive technology, advocacy, self-determination and functional independence so individuals can live, learn, work and play in communities of their choice. Rachel serves as the TechMatch Specialist for Tools for Life, the Georgia Assistive Technology Act Program. She received her degree from the Medical College of Georgia, and her Certification from the National Board for Certification of Occupational Therapist (NBCOT). Rachel lives in Marietta, Georgia.